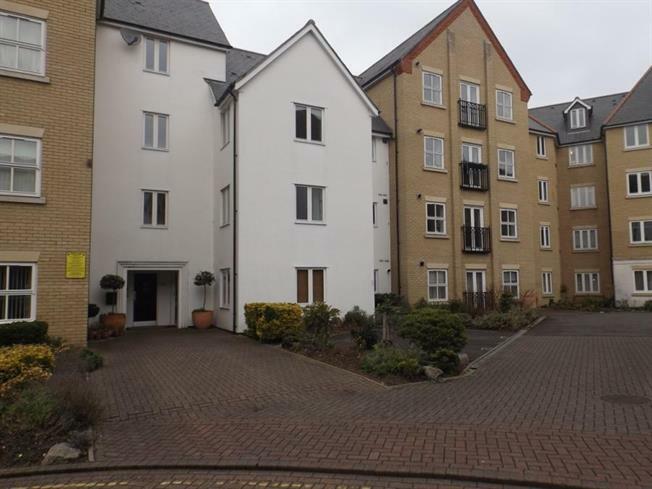 2 Bedroom Upper Floor Flat For Sale in Colchester for £205,000. Bairstow Eves are pleased to be able to offer to the market this beautiful two bedroom first floor apartment. Within a short walk to Colchester town and 0.7 miles to Train station, the property consists of master bedroom with Juilet balcony and en-suite shower room, second double bedroom, fully fitted kitchen, spacious and bright living room. This property has a fully fitted multi media music system which is linked to all the rooms. Allocated parking. Laminate flooring, doors leading to. Two times double glazed windows, doors to juilet balcony, laminate flooring, wall mounted control panel for built in media music system. Range of wall and floor cupboards, Integral fridge freezer, washing machine, built in electric oven with four ring gas hob and extrctor hood, tiled floor, built in speakers to ceiling. Window to rear, doors to juilet balcony, built in speakers to ceiling, door leading to ensuite. Shower cubicle with ajustable shower head, sliding door. Sink with mixer taps, low level WC, tiled floor, built in speaker to ceiling. Windows to side and rear, built in speaker to ceiling. Three piece bathroom suite comprising pannelled bath with mixer tap. Vanity sink and low level flush, heated towel rail, tiled floor built in speakers to ceiling. Garden areas through out the development.